(Big Note Vocal Selections). 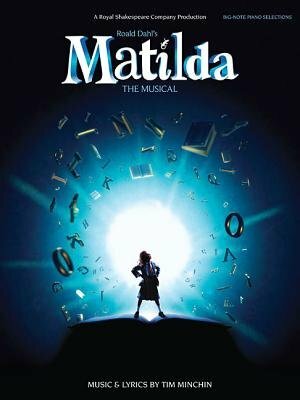 A modern day music theatre phenomenon, Tim Minchin's Matilda The Musical is the multiple Oliver Award-winning adaptation of Roald Dahl's classic children's novel from the Royal Shakespeare Company. This official songbook presents ten songs from the show arranged for Big-Note Piano with chord symbols and lyrics. Songs include: Bruce * The Hammer * My House * Naughty * Quiet * Revolting Children * School Song * The Smell of Rebellion * Telly * When I Grow Up.